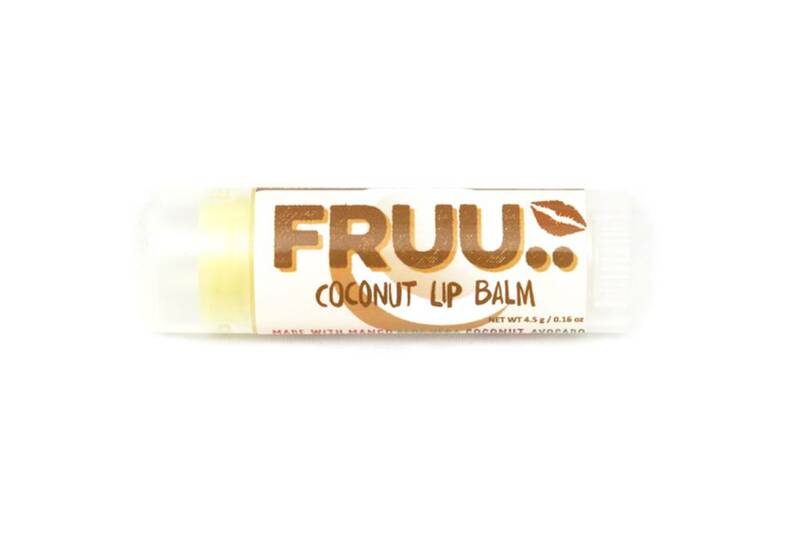 Real-fruit lip balm made with coconut oil, aloe vera extract and banana extract. Organic and Vegan friendly. 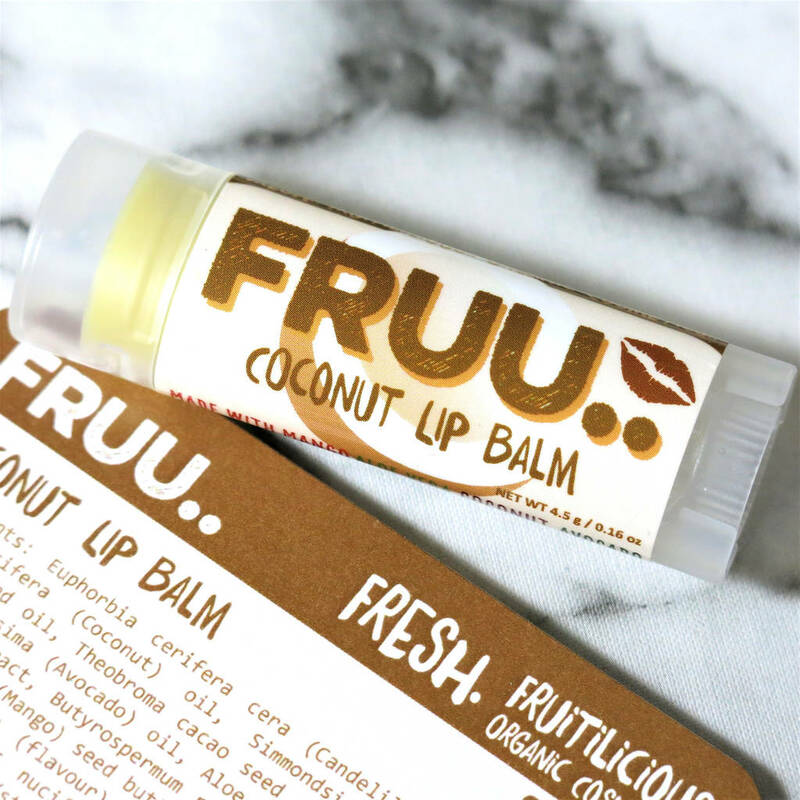 Restores your perfect kiss with one use! PETA approved - Cruelty-free and Suitable for Vegans. Euphorbia cerifera cera (Candelilla wax), Cocos nucifera (Coconut) oil*, Simmondsia chinensis (Jojoba) seed oil*, Theobroma cacao seed (Cocoa) butter*, Persea gratissima (Avocado) oil*, Aloe barbadensis (Aloe Vera) leaf extract, Butyrospermum parkii (Shea) butter*, Mangifera indica (Mango) seed butter*, Tocopherol (Vitamin E), Xylitol, Aroma (flavour), Musa sapientum (Banana) fruit extract, Cocos nucifera (Coconut) fruit powder, Stevia rebaudiana leaf/stem extract.